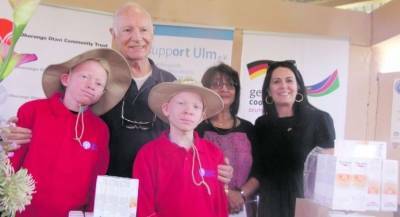 The Support in Namibia of Albinism Sufferers (SINASRA) organization yesterday donated telescopic spectacles to all 160 learners at the School for Visually Impaired. Optometrists were present at the school to test the learners’ eyes in order to adjust the spectacles according to the strength of their sight. The donation included sunglasses, hats, long sleeved T-shirts as well as lotions from sponsors, including the German Embassy in Namibia and Ohorongo Cement. The founder of SINASRA, Dr Peter Stoermer, said during the handover, which coincided with the International Albinism Awareness Day, that the spectacles are for all children who need them at the school. SINASRA has been donating the telescopic spectacles for some years now and the result is that more children with albinism are enrolling at schools because they can see well, Stoermer said. Stoermer also said that children with albinism are as intelligent as children without the condition. “We therefore encourage all parents of children with albinism to send their children to school,” Stoermer emphasised. He urged people with albinism to take precautionary measures by wearing protective clothing that will least expose them to the sun. Stoermer said that atrocities committed against people with albinism are decreasing in Namibia. In countries like Tanzania, attacks against people with albinism are rife as their bodies are considered a prized asset on the black market. 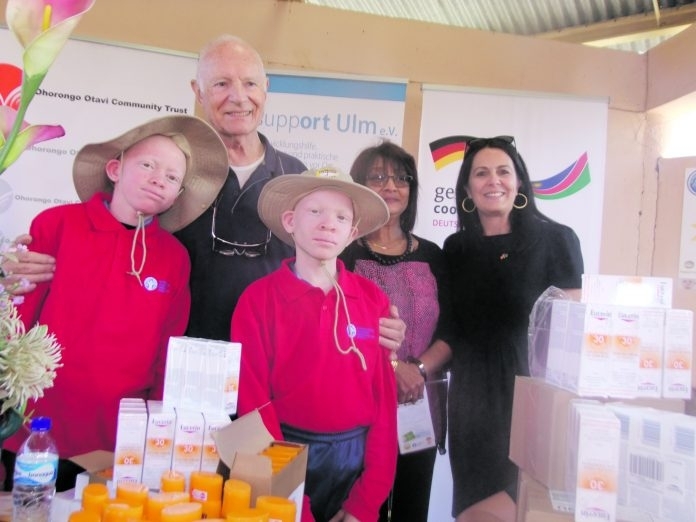 “Atrocities against albinos in Namibia has come to a halt,” said Stoermer, adding that there are people who are encouraged to monitor the situation on the ground.